In Craniosacral therapy, the practitioner works with the craniosacral system, which includes the cranium, spinal column, sacrum, central nervous system and the cerebral spinal fluid (CSF). The CSF circulates in this area the way blood circulates through the body. It brings nutrients to the brain, provides it and the central nervous system with cushioning, and removes toxins. When there are blockages or tension, this circulation slows down and problems arise. 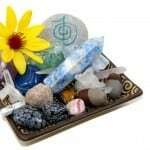 The practitioner uses a very light touch (about the weight of a dime) in specific areas to release the restriction, which helps the CSF to flow at a normal rate and allows the entire craniosacral system to regulate itself, thereby promoting healing in all areas of the body, both physical and emotional. The pre-cursor to Craniosacral therapy – Cranial Osteopahty – was discovered by Dr. William Sutherland in the late 1800s. As he was looking at a skull one day, he suddenly realized that the bones in the skull were designed to move, contrary to most of the Western teachings at the time, which claimed that the skull bones in adults were fused and immovable. After conducting a series of tests on himself, he was sure that he was right – the bones were indeed moving, and restricting them caused all kinds of problems. He also discovered what he called the “Breath of Life” – the rhythmic “pulsation” of the cerebrospinal fluid and the central nervous system. He set out to develop therapeutic methods to help release blockages and restrictions in the Breath of Life, and in the 30s, he started teaching them to other osteopaths. In the 1970s and early 80s, another osteopathic physician, Dr. John Upledger, then a Professor of Biomechanics and clinical researcher at Michigan State University, did extensive research on cranial osteopathy, and he also discovered what he calls “energy cysts” – the energy from an old accident or injury stuck in the cells and still causing problems many years later, even after the physical damage has healed. He found that craniosacral work could help release this stuck energy, and the person could finally completely heal from the old injury. Dr. Upledger developed his own treatment method and named it “Craniosacral therapy”. He began teaching it even to laypersons and in 1985, he opened the Upledger Institute, which is both a clinic and an educational facility. Today, they teach hundreds of workshops all over the world, both to medical professionals and laypeople. 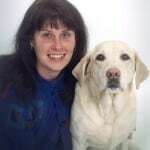 Craniosacral therapy work on animals is done the same way it is on people. The practitioner feels for imbalances and interruptions in the craniosacral rhythm all over the animal’s body, and treats it with a light touch on specific bone patterns. 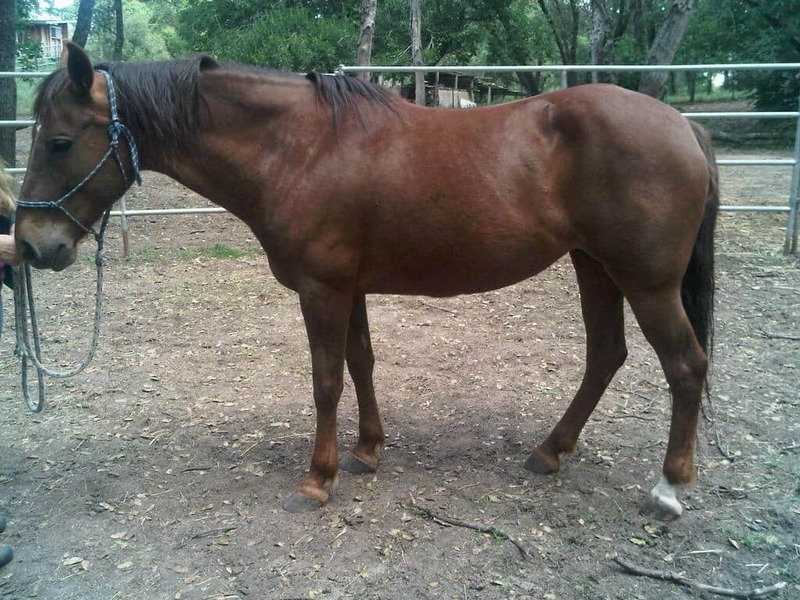 Shea Stewart is the owner and founder of Stewart Ranch in Ft. Worth, TX where she offers equine Craniosacral therapy, riding and horsemanship clinics with a holistic approach. 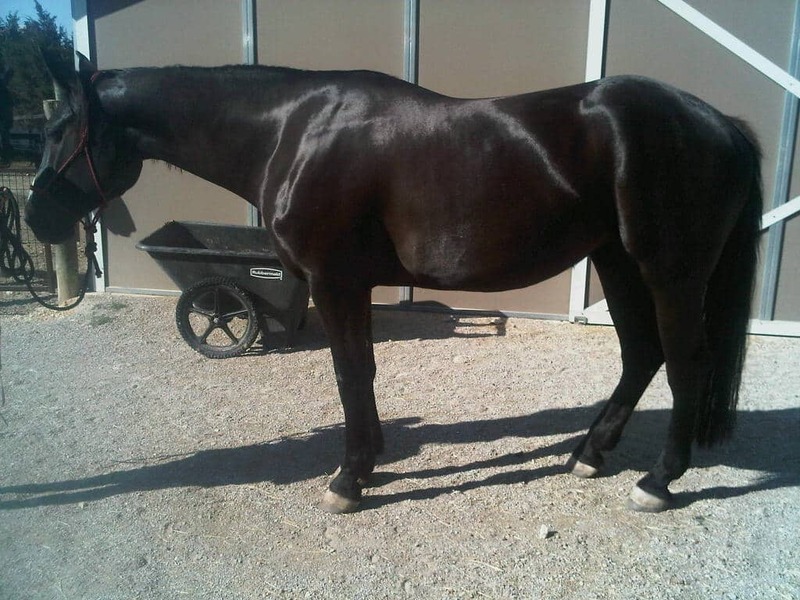 Shea works with many leading bodywork practitioners, veterinarians, nutritionists, saddle fitters, chiropractors, etc. 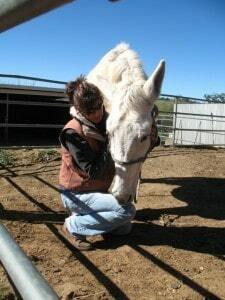 and has found that Craniosacral therapy makes lasting improvements in horses. She also works with horse professionals such as eventing and dressage trainers, and help horse owners find a deeper connection with their horse by seeing things from the horse’s perspective. Her work has not gone unnoticed – she has been featured in many magazines. Shea also travels to California on a regular basis, offering lessons, clinics and Craniosacral appointments. 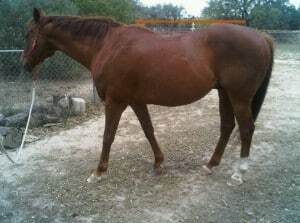 She can be reached at 831.234.8321 or via email: stewartranch@sbcglobal.net. “Over 20 years ago I was complaining to my sister about having head aches and neck pain. She suggested that I go see a woman in Oakland, CA who did craniosacral work on humans. I had never heard of it, but thought I would give it a try. 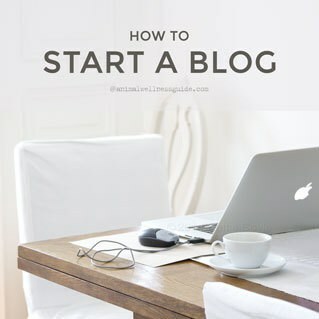 I was absolutely amazed at how much it helped me yet it seemed so gentle. It was the only thing that got rid of my head aches. 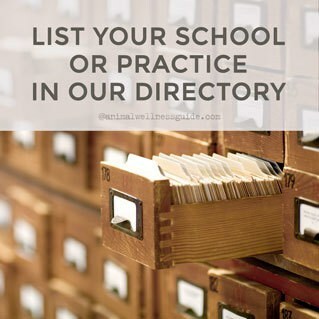 Everywhere I lived, I would search for a craniosacral practitioner which was hard to find. Q: Did Maureen Rogers “invent” equine craniosacral work? A: Roots of Craniosacral therapy derive from osteopathy and predates to Ayurvedic medicine. I believe there are other schools for equine studies, it but in my opinion, Maureen’s is the most extensive. She offers head and neck dissection workshops which I believe is crucial when doing this kind of work. She also teaches detailed anatomy in her courses. Q: Can you describe an equine craniosacral treatment from beginning to end (i.e. how you decide where to work, what you feel for, how you know when to stop, etc.)? 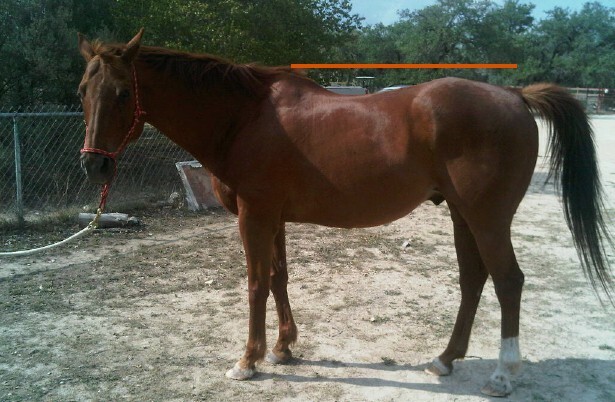 A: Each session begins with a thorough assessment of the horse. I watch how they move when they walk, turn, back up, their postural pattern when they stop, how they chew their food or graze, how they breathe, what their patterns are. I palpate muscles beginning on their head, I observe how they use their ears, eyes, how they swish their tails, how they bend their joints when they move. I also observe the bones in their cranium and look for trauma as most of these go unnoticed yet it can be the root of the horse’s issues. Finding dents and asymmetry in the cranium is very common. They tell us a lot just during an assessment, if we know how to observe. I also teach the owners what I am looking for, what is healthy, and what their horses are showing. 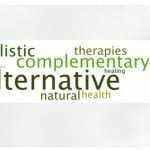 I then begin treatment which is a light touch on a specific bone or muscle I feel for balance, softness, and movement to be restored. 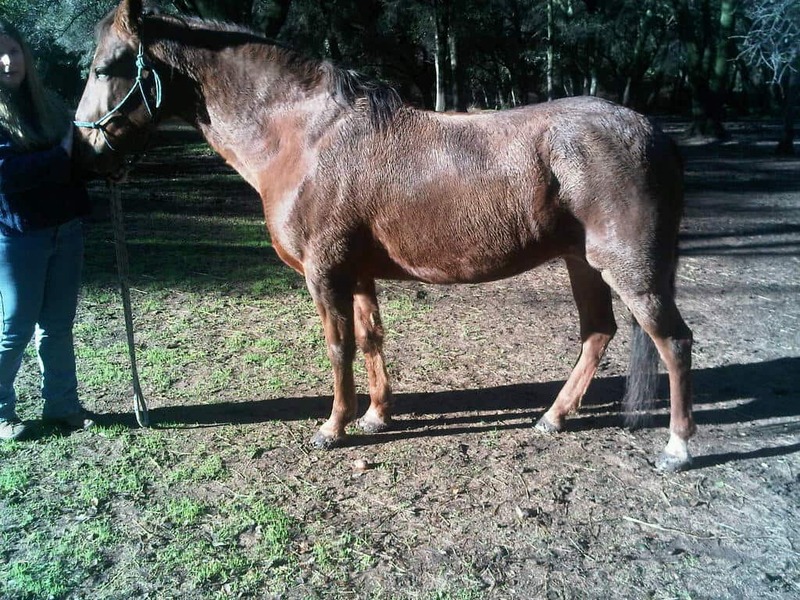 Most horses have a pattern of being heavy on their fore due to compensation patterns, so I usually begin treatment by giving them their hind end back so they can begin to reorganize and distribute their weight evenly. After each hold, I step back and give the horse a moment to process. During that time I observe and see what hold I may need to do next. Every horse is different. Each hold is on a specific bone or muscle. Time spent on each hold is not calculated in minutes. Some holds I will be there for less than a minute, some take 10 minutes. It just depends. Also there are numerous holds to do, so every session is different. The horse directs me to which hold to do and when. Once the treatment is over, we then assess the horse for changes. I take before and after pictures and send a report to the owners so they can learn to see the reorganization that happens. Each appointment takes about 90 minutes. It is highly effective without having to manipulate boney structures. Q: “Everybody” says that they partly (or fully) decide on where to work by instinct, or by listening to the body – is that something you can learn? A: I think it depends on the individual. It is all about listening and focusing. Everyone can learn how to listen and focus, but for some it comes more natural than others. With this kind of work it is important to quiet your mind and focus on the client. Some people are very busy-minded, and some people are very quiet-minded. So for those who are more busy in their own heads, they may have to work harder on learning how to listen to their intuition and to their client. When I am working on a horse, the ONLY thing I am thinking about is that horse during that moment. I understand how the bones and muscles articulate together based on my training, and I understand horses. So I observe what the horse is doing and decide on what to work on next based on that. It is mostly what I see in front of me. But I know how to see without anthropomorphizing, and I know how to listen without making assumptions. I just observe what the horse is doing then I decide on which hold to do next. How long to stay in a hold is where a deeper sense of listening comes in. Q: I read that any injury anywhere in the body, old or new, can be helped with craniosacral work, is that true? A: Yes, craniosacral addresses the central nervous system and the limbic system of the brain which loads the trauma. Craniosacral decompresses the pattern to alleviate the trauma that is held in the limbic brain. This is why it is a modality that stays with the horse. It isn’t about muscle memory with craniosacral. It goes deeper than that. Q: Which conditions do you see most often, and which have you had most success with? A: The common denominator with every domestic horse is the pressure that is put on their craniums. Whether it be head gear or dental procedures, we are always putting pressure on their heads. This constant pressure can influence the body and then they develop compensation patterns, headaches, tmj conditions, mechanical imbalances, facial nerve issues, lameness, airway problems, head shaking, cribbing, low back and sacral issues just to name a few. 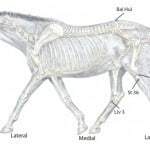 With most horse owners, these conditions are initially recognized with gait issues such as canter lead problems, postural imbalances, or lameness or behavioral issues. 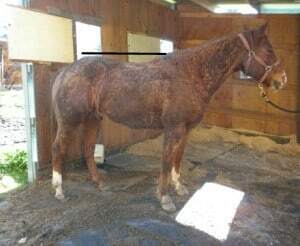 However in some horses the issues are not recognized until they are in crisis mode and begin to head shake or crib. Craniosacral is the only body work that addressees the bones in the skull which addresses the root of the majority of problems we see in horses. 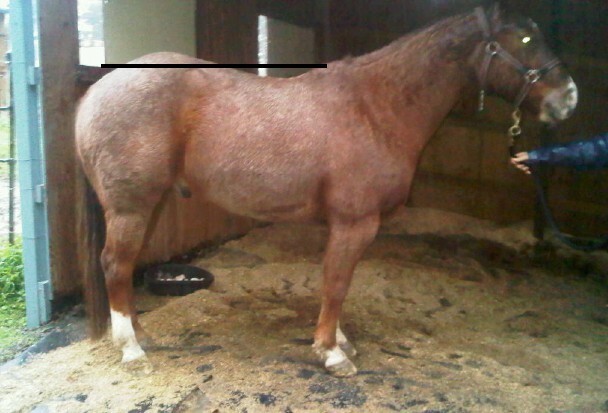 The most common issues I see are posture imbalances that the horse industry describes as conformational flaws. These all may lead to lameness problems, and then the horse industry treats the specific joint. Craniosacral restores balance in their posture so they can use their bodies how they are meant. And it helps alleviate head aches, tmj dysfunction, rib cage compression, sore backs, sore hocks. All of which will turn into behavior issues. The horse always tells us what is wrong, it is up to us to learn how to listen to them and not assume they are being naughty or belligerent. Usually they are simply trying to express an issue. 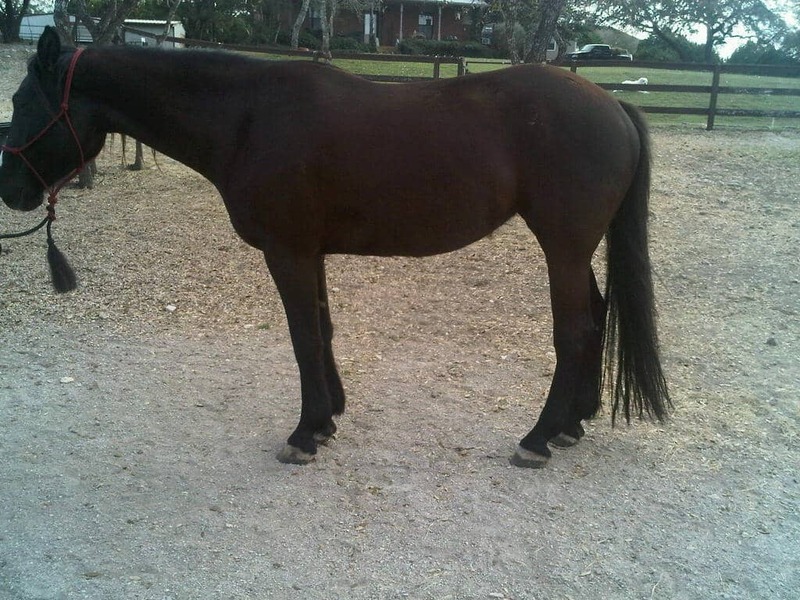 Precious is a Tennessee Walking mare who had huge difficulty in haltering and bridling as she was extremely head shy and violently threw her head if she thought her pole was going to be touched. This issue was very dangerous as she had hit people in the face with her violent head tossing. It had been addressed for years in her training. Her owner worked on her, different clinicians and trainers worked on her. Here is her picture before her Craniosacral treatment. She is heavy on her fore hand, her back is flat and tight, the base of her neck is dropped, her pelvis is rotated and she is standing out behind. She had a very dull expression in her eyes and never really looked around. Her masseters were very tight, and her temporalis muscles were tight and atrophied. The 2nd picture is after her treatment. You can see how much more soft and round her rump is, she is putting weight on her hind legs so she is no longer leaning so strong over her fore hand. The base of her neck is up and her top line is up. Her neck is soft and full, and her expression is much softer. She engages with people now and looks around at her surroundings. She is much easier to halter, and her head shy issues are almost gone. Her farrier reports that she is much easier to trim and doesn’t try to pull her legs away since she can balance better. She is easy to catch now, and much easier to halter. She seems more confident in her herd as well. First of all, notice how high his croup is compared to his withers in the before picture. He looks like he is standing downhill. Then look at his after shots and how much lower his croup is compared to his withers. I drew a line across his back so you can see how significant that is. Also the angle of his pelvis is softer, he isn’t leaning so strong over his forehand, and his front legs are coming more under his shoulders instead of behind. His neck is also not so dropped down, you can see that if you look at the underline of his neck. Easy before treatment is croup high, over weighting his forehand, pelvis rotated, tight in his withers, and tight in his ribs. After treatment his croup relaxed quite a bit, pelvis is more neutral, better balance front to back. Hind end more comfortable so he doesn’t have to over weight his fore. Neck fuller and withers softer. Back is not as dropped, and hind leg joints have more flex. “She is definitely changing… looks better than I can ever remember her looking. As a matter of fact, she used to look like a cart horse or something, and now she is starting to look like the potential Dressage horse I thought I getting when she was two! She is using herself better and is much happier in the work. I know there is more to do, but, the change is amazing, and I don’t know what came first, but, I am ENJOYING her so I WANT TO RIDE almost every day. It used to be excruciating really. No fun at ALL – for her OR me. I have a lot going on in my life right now, but, I keep coming back to the fact that I’m enjoying my horse and I have TIME to ride her, so LIFE IS GOOD!! And, Mags is a different horse. If you were to show me him in my arena right after you came, I’d ask who the new horse was. I’m not kidding. He’s moving better, happier… I’m AMAZED.